Cordillera - The Kalinga State University (KSU) has announced to offer the free tuition fee program to qualified and deserving students for school year 2017-2018. KSU President Eduardo T. Bagtang said the move is under the guideline sent by the Commission of Higher Education (CHED) to the university. Under the guideline, the first priority beneficiaries are those students having one semester left, and the second priority are those having two semesters left. The third priority are those students under the Pantawid program beneficiaries and those who falls under the income bracket set. Qualified students who can apply for free tuition are also those receiving educational funds of less than P15,000/semester. Bagtang also clarified that not all qualified students can avail of the free tuition fee because the fund will depend on the amount of grant released by CHED. So, for qualified students who want to avail of the program, it is better to go and apply early. NOTE: Evaluation and Assessment shall be conducted by the respective colleges. Official Lists of pre-admitted enrollees with their corresponding assigned date./schedule of enrollment based from the result of ranking by prioritization/grouping are posted to the College Bulletin of Information. Step 2 - Secure assessment result from the Dean's Office. Step 3 - Fill up Enrollment Form (KSU Form 1-A) and attach result of the assessment. Subjects are given by the Program Chairman and approved by the Dean. Proof of enrollment will be printed. Step 4 - Proceed to the Collection Office for the payment of fees. Step 5 - Proceed to the Auxiliary Office for the validation of school ID. The start of classes is scheduled on August 7, 2017. 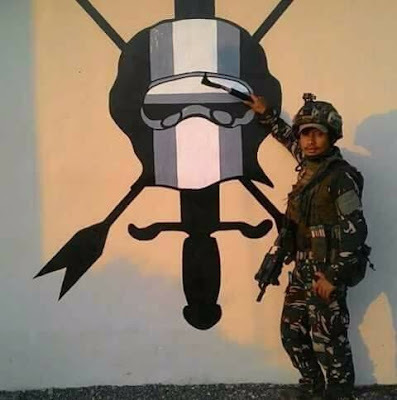 Cordillera - Corporal Benito G. Serrano was among the soldiers who were killed in action during the ongoing battle to recapture Marawi City from the control of Maute group and suspected members of Abu Sayaff. CPL. Serrano was from Connor, Kalinga of the Scout Ranger Class 176 and of the 4th Light Reaction Company who was deployed in the Island of Mindanao. Their mission was to conduct rescue mission to the trapped soldiers from the disabled armored personnel carrier of the 5th Mechanized Battalion when they were engaged in a fierce gun battle with the members of the Maute terrorist group who occupied Marawi City since May 23rd, 2017. Corporal Serrano died in the line of his duty to protect the country. He was hardworking, kind and one of the best in the military according to his senior officers. His wife, a teacher in Tagbina, Surigao del Sur is about to give birth to their second child. A message of condolences were sent to the bereaved family of Coporal Serrano from many netizens, calling him hero. The ongoing Marawi siege has claimed the lives of 11 soldiers and two police officers while 39 soldiers were recorded wounded according to AFP Western Command spokesperson Capt. Jo-Ann Petinglay. "So far we have 11 soldiers who have sacrificed their lives for the freedom of the peace loving residents of Marawi," said Capt. Petinglay. (Wowcordillera) - Baguio based fighter Geji "Gravity" Eustaquio successfully closed his rivalry Anatpong Bunrad of Thailand in a superb display of boxing skills, will all judges having it scored in favor of him via split decision. With his improved footwork, timing and counter-punching tools, Eustaquio was able to revenge his lost during their encounter back in 2015. Eustaquio was a little bit cautious to engage Bunrad in the first round, taking his time to test how strong the Thai fighter was and be able to set up his next move getting to the later rounds. The later rounds proved to be with Eustaquio's favor as he was able to connect counter punches with elbows and right straights to frustrate the Thai fighter, although he was floored down in the third round with a head kick by Bunrad. Defeating the Thai fighter via split decision has improved his record to 9-5 after loosing to Toni Tauro in 2016. (Wowcordillera) - Baguio City mayor Mauricio Domogan had expressed his support to President Duterte's declaration or Martial Law in Mindanao. In a message on his official Facebook page, Mayor Domogan wrote he supported the the President's way of solving the ongoing crisis in Marawi city where terrorist group Maute had besieged. "We supported the action of the President in declaring Martial Law in Mindanao. 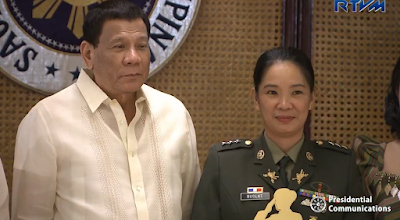 We have full trust that the President had been supplied with sufficient facts that can justify the declaration of Martial Law in the said area," Domogan said. He also explained that he is not worried to what basis the president declared Martial Law and he is hoping that both the Philippine National Police (PNP) and the AFP "will quell and stop the lawless violence and rebellion in the said area to save from possible death and injuries of the innocent civilians and damage to properties." Mayor Domogan also acknowledge in his message Police Senior Inspector Fredie Solar from Baguio city who was among the casualties in Marawi terror attack. 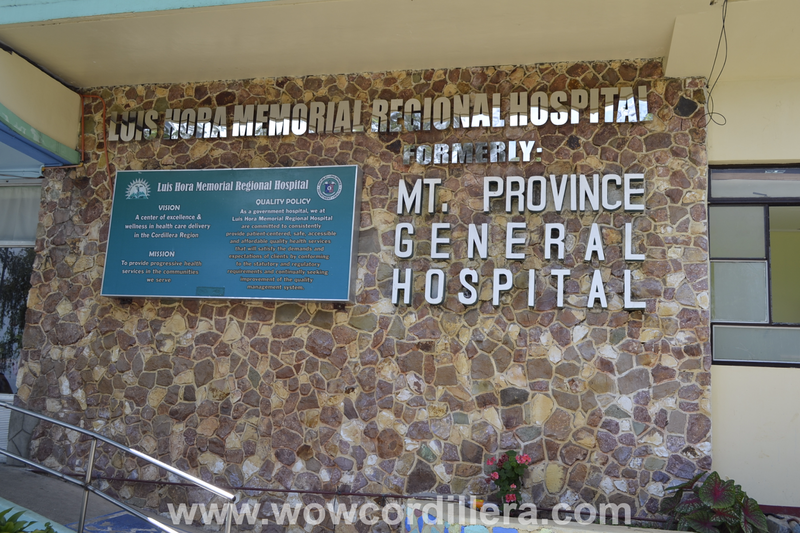 "We are mourning for one of the casualties in the said lawless violence and rebellion is no less than Police Senior Inspector Fredie Solar from Baguio City," Domogan added. Baguio City - A young cop from Baguio was being held as a hero on Tuesday after he was killed in the line of duty during the initial clash between government forces and the militant group Maute in Marawi City. Senior Inspector Fredie Solar from Baguio City, a graduate of PNPA 'Sansiniringan' class of 2007 was assigned in Mindanao right after his graduation. 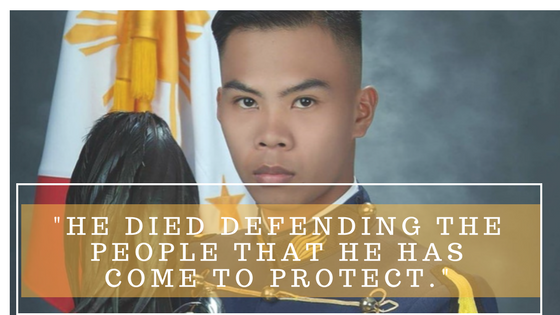 His story of becoming a police officer and of serving the people of Mindanao up to his untimely death has gone viral after a message of his sister Susan Solar-Urbano was widely shared on social media. Susan shared how Freddie had ignored their request for him to work for his re-assignment to other place in the country except Mindanao. But he reasoned out that the people of Marawi liked him and he had loved them as well. "After graduation, he was assigned in Mindanao. For numerous times, we have pleaded for him to come back in Baguio. We have asked him to apply to re-assignment at any other place in the Philippines except Mindanao," Urbano wrote. "...the people there respect him and this was enough for him to stay. He has come to love the people of Marawi," Urbano added. Fredie Solar died a hero defending the people that he has come to protect - the people of Marawi, Urbano continued. "But just last night, a the Marawi siege, in the hands of the heartless terrorists, we lost him. He died defending the people that he has come to protect. We lost a humble, kind-hearted, determined brother who we dearly love, all for the sake of the country,"
Many netizens who have read Urbano's post were touched by the story and have shared their sympathies to the family of Solar. "Condolence to the family and may you rest in peace inspector. I do not know the dignity of his birth but I do know the glory of his death. Salute to all brave men," Leoj Tagamub commented. Facebook user Anacleta Soriano also wrote, I have so much respect for all men and women in uniform who selflessly gave their lives that we may live in peace and freedom. What a high price to pay! Rest in eternal heavenly peace MY HERO!" The family of Police Inspector Fredie Solar has asked the assistance of the Philippine National Police (PNP) for the transport of his body from Iligan City to Baguio. As of this moment his body was in a funeral home in Illigan under the care of his wife and son. President Rodrigo Duterte has cut short his 5-day trip in Russia and headed back home to see the situation on the Marawi attack. 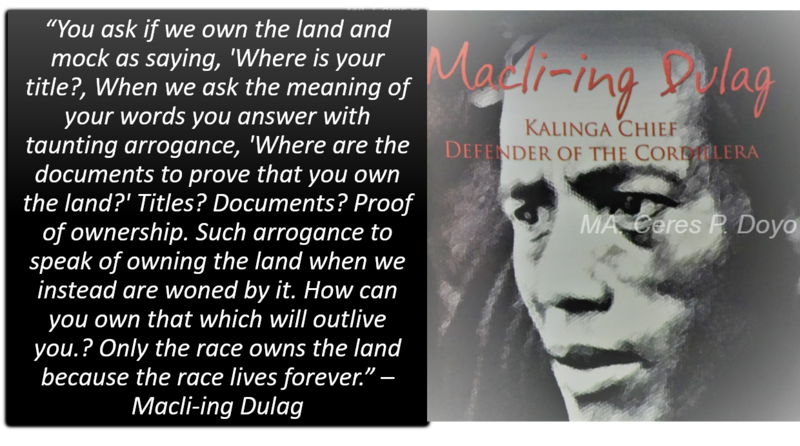 He later declared Martial Law in the entire Mindanao island. The clash is still on going with some of the Philippine elite forces was deployed to help in bringing back peace in the terrorist-inflicted city. The Philippine has signed a deal with Germany for Filipino nurse employment through the Triple Win Project signed in 2013. The agreement aimed to hire Filipino nursing professionals to work in Germany through the Philippine Overseas Employment Agency. 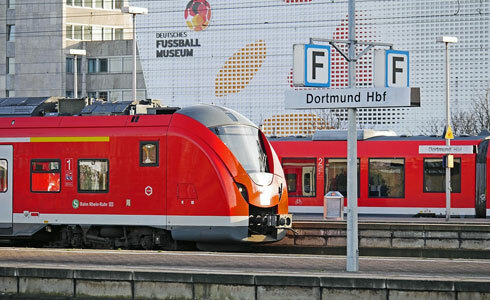 According to POEA, more than 400 nurses having specialization in Geriatric Care, ICE and General Ward are needed by the German Federal Employment Agency. Those who are interested may submit their documents at POEA-Cordillera office located at Benetiz Court Compound, Magsaysay Avenue, Baguio City, according to Bombo Radyo Baguio. Applicant should be a licensed nurse with at least two years professional experience working in a hospital, rehab centers, and care institutions. According to Adela Dario, POEA - Cordillera OIC, Cordillerans and those in the nearby provinces are the priority for the job. An orientation will conducted on June 2 in all Public Employment Servive Office in the whole of Cordillera and an interview will follow on June 26. (Wowcordillera) - Bagabag airport in Nueva Viscaya is back and now resumes operation for the first time after 16 years. In its inauguration ceremony held on May 17, 2017, Wakay Air Service launched its first Clark-Bagabag flight as it landed on the airport for the first time. The maiden flight of Wakay to Bagabag happened at around 10 A.M on Wednesday and was welcomed by a traditional water gun salute and was followed by a welcome ceremony attended by members of the Department of Tourism (DOT), some members of the Nueva Viscaya local officials and local travel and tour operators. 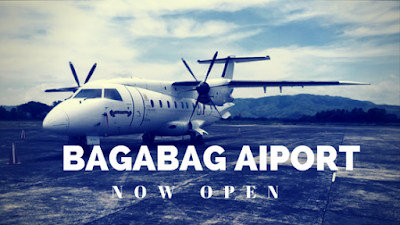 According to the DOT, the opening of the Bagabag airport is a tremendous boost to the local tourism in the area and nearby provinces especially the majestic rice terraces of Banaue. The flight from Clark to Bagabag will cut short the travel time from 8 hours to just an hour and 45 minutes. 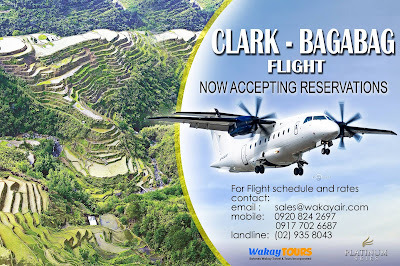 Tourists going to the Banaue Rice Terraces can take the flight from Clark to Bagabag. A free shuttle bus is offered to them from the airport to their hotel in Banaue. The flight to Bagabag can be access through Wakay Air Service 38-seater Donier aircraft that is scheduled to serve passengers four times a week starting on June 4. Airfare for a one way direct flight is around P5,000. (Wowcordillera) - Workers in some parts of the Cordillera Administrative Region (CAR) will receive minimum wage increase this year as the Regional Tripartite Wages and Productivity Board (RTWPB) announced it approved an increase of their minimum wage rate. Augusto Aquillo, Regional Tripartite Wages and Productivity Board Secretary said his office had already received a confirmation about the proposed new minimum wage increase. Aquillo said, the minimum wage rate increase will not be the same to all provinces. The Department of Labor and Employment will convene on May 24 to explain the approved daily minimum wage increase. The secretary further explained that workers who are receiving a salary of P285 per day will get an increase of P15 while those workers getting less than P285 will get an increase of P25 per day. The new wage order will set an increase of the daily minimum wage rate of workers in the region to P15 making a total salary rate of P300 per day from the previous salary of 285. 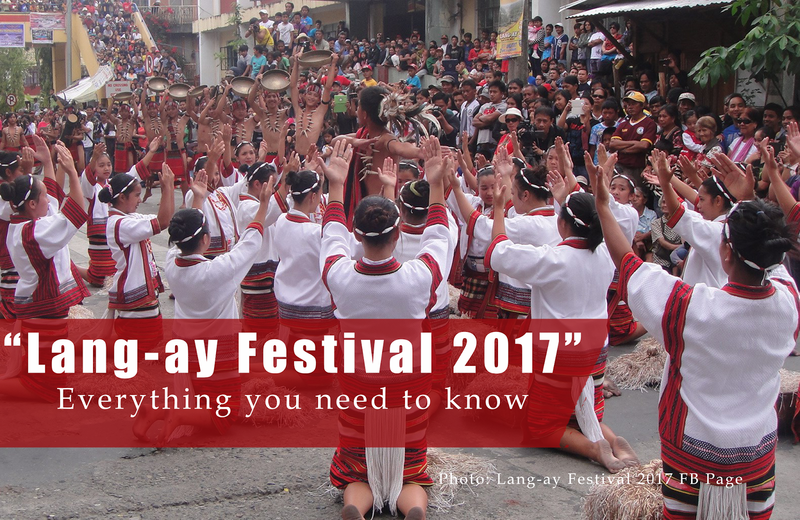 This covers Baguio, La Trinidad and some parts of Benguet. The wage order will be effective on June 5, 2017. 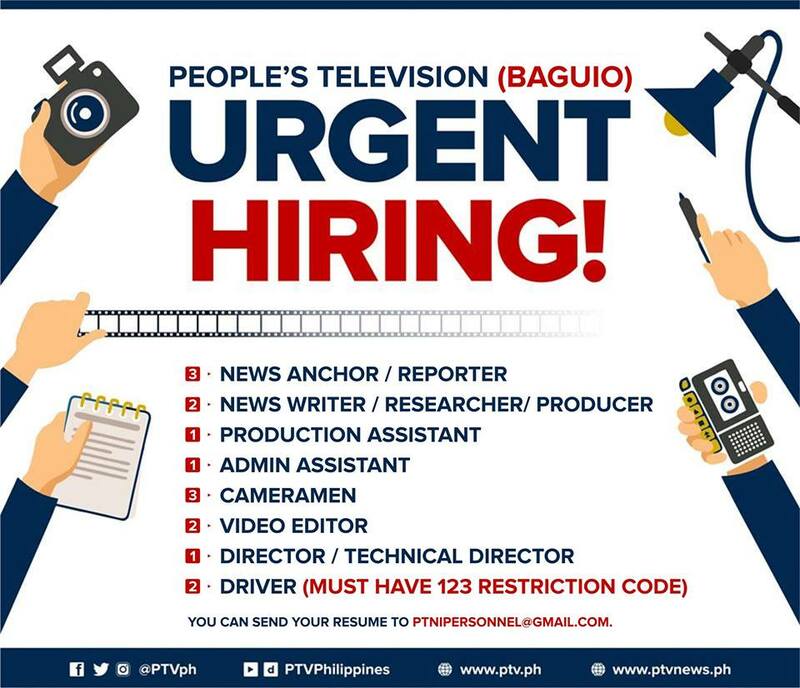 Cordillera - People's Television (PTV- Baguio) or PTV Cordillera is hiring numerous television broadcasting jobs. On its official Facebook Page, PTV posted that it is urgently needing qualified applicants for the newly opened PTV station located at Romulo Drive, Barangay Lualhati, Baguio City. The post says "qualified applicants should submit his/her resume and pertinent documents to ptnipersonnel@gmail.com." with a subject "Application intent for <position>"
In March 2017, President Rodrigo Duterte graced the inauguration of PTV Cordillera. The PTV hub in Cordillera was constructed as part of the efforts to improve government owned media facilities. The hub will produced newscast and shows about Cordillera in the Ilocano dialect. Cordillera - The Philippine Drug Enforcement Agency announced it needs new anti-narcotics officers to boost its work force in combating drug proliferation in the country and in beefing up its support over the government's campaign on illegal drugs. 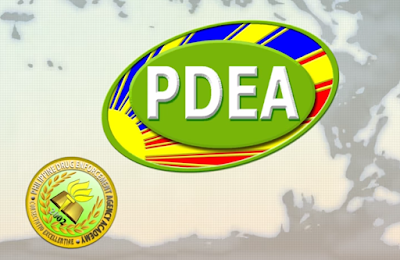 The PDEA - CAR is currently on the look-out for 185 Intelligence Officers and three chemists. Once they passed the qualifying examination, they will be sent to the different training locations in the country for their comprehensive and regimented training program. RELATED: DENR-CAR needs workers for its regional and field offices. Applicants must be 21 - 35 years of age, at least 5'2 tall for men and 5' for women, holder of any baccalaureate degree, holder of CS professional eligibility and have passed the PRC exam or the Civil Service Commission under Special Laws. Successful PDEA intelligent officers will be given salary of not less than P19,000 under Salary Grade 11. You can submit your applications to PDEA - CAR Regional Office at Camp Dangwa, La Trinidad, Benguet. For more information, watch this PDEA Recruitment infomercial in YouTube. 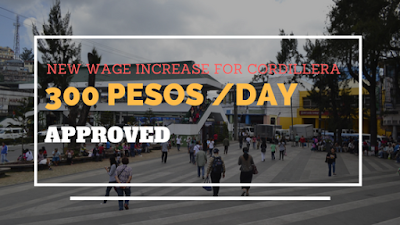 Cordillera - Domestic workers in the Cordillera Administrative Region (CAR) will receive salary increase of P500. The Regional Tripartite Wages and Productivity Board Cordillera (RTWB - CAR) has released wage order No. 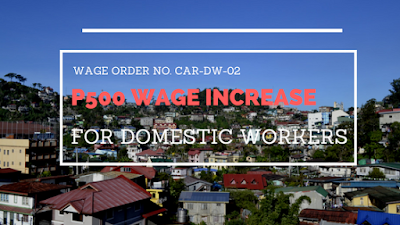 CAR-DW-02 prescribing new minimum wage rates for domestic workers in the region. After conducting series of public consultations and hearings from the different provinces in the region late last year and early this year, the RTWD-CAR has announced the necessary adjustment of the current minimum wage rates of domestic workers. According to the wage order publication, the reason for the increase is due to the rising cost of living. Under section one of the said order, the board has approved a salary increase of domestic workers in cities and municipalities to P3,000 a month and P2,500 in other municipalities, an increase of P500 from the previous salary rate implemented in August 2015. It covers all kinds of domestic workers such as general house helper, yaya, cook, gardener, laundry persons and any person who regularly performs domestic work in one household on an occupational basis except family drivers, children under foster family and any other person who performs occasional work. The wage order was approved on 19th April 2017 and will take effect 15 days after its publication in a newspaper of general publication. The domestic worker is also entitled to a thirteen month pay. Augusto Aquillo, RTWPB-CAR secretary, said employers who don't comply with the new order by withholding and interfering the wages shall be fined with not less than P10,000 and not more than P40,000. Complaints of non-compliance should be filed before any of the the Department of Labor and Employment (DOLE) offices, Aquillo added. Baguio City, Cordillera - The Japanese government revealed its plan of constructing a state-of-the-art drug rehabilitation center in Baguio. Baguio City Mayor Mauricio Domogan confirmed on Tuesday that the Japanese government is looking for a 3-hectare land to which the proposed rehab center will be put up. Department of Health (DOH) Undersecretary Henry Tong-an has relayed the plan to Domogan after their recent meeting this month. Domogan proposed the Sto. Tomas Apugan for the building of the rehab center as this area is a property of the government, but suggested however, that the rehab will be built somewhere outside the city if it doesn't fit the building standards of Japanese government. 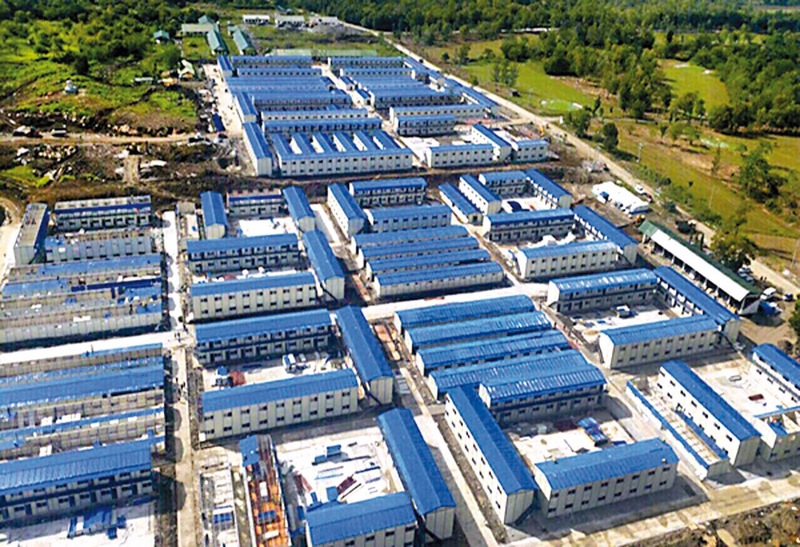 "If the city government's property will not pass the standards of the Japanese government, we recommend that the proposed drug rehabilitation center be built outside the city," Mayor Domogan said. According to the city Engineering Office, the planned construction would require an estimated Php200 million for the construction of an access road going to the proposed Sto, Tomas rehab center. The Japanese government wishes to help the Duterte government war on drugs by providing rehab centers that would cater drug surrenderees in the city and from the different parts of the Cordillera who wish to get away from drug addiction and build a new life. 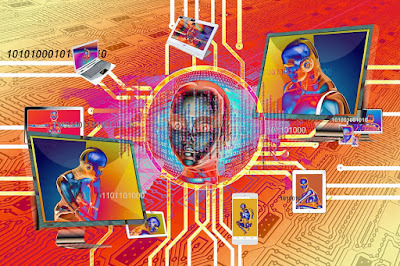 (Wow-Cordillera) UPDATED -- Last week, a malicious software also called "ramsomware" has infected tens of thousands of computers worldwide especially targeting countries like Russia, Taiwan and Ukraine. There were about 57,000 computers in 99 countries that were infected with a ransomware worm called "WannyCry" reports Aljazeera. What the WannyCry ransomware does to your computer once it infected is encrypt or lock up your files on your computer that you won't be able to access them anymore. For you to recover your files, you need to pay the hackers money in terms of bitcoin for you to receive a key use to decrypt your files. 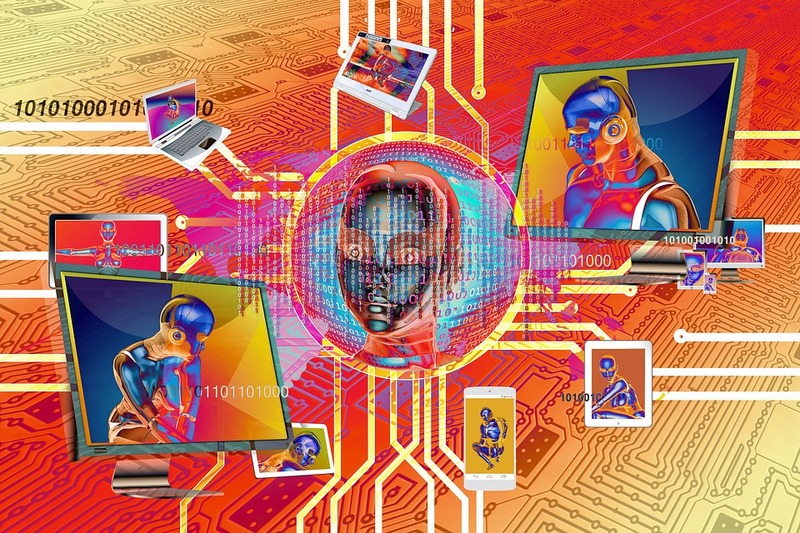 Software security companies said that when your computer system is infected, "a pop-up window will appear with instructions on how to pay a ransom amount of $300." Ransomware victim will be given a deadline to pay the ransom, if not, all data will be lost. The Department of Information and Communication Technology (DICT) has posted on its FB page an info-graphic detailing about "WannaCry" ransomware and what can you do to prevent it. Leading software maker Microsoft laid down simple actions to prevent your computer system being infected by ransomware. 2. Make sure your software is up-to-date. 3. Avoid clicking on links or opening attachments or emails from people you don't know or companies you don't do business with. 4. Ensure you have smart screen (in Internet Explorer) turned on, which helps identify reported phishing and malware websites and helps you make informed decisions about downloads. 5. Have a pop-up blocker running on your browser. 6. 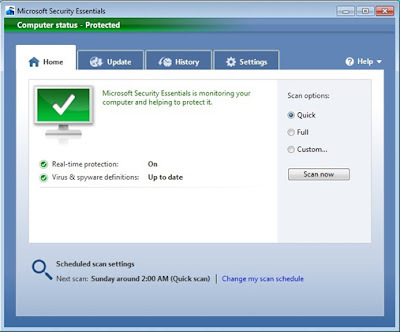 Regularly back-up your important files. (Wow-Cordillera) -- In his community meeting with overseas Filipino Workers (OFW) gathered in a hotel near the airport in Hong Kong on Friday, President Rodrigo Duterte once again asked the Filipinos to give him 3 to 4 years to improve the Philippines. Prior to his scheduled trip to China to attend the One Belt, One Road (Obor) Summit, Duterte delivered a speech to the gathered group of OFWs that eagerly waited for him. In a short interview after the meeting, the issue of the Overseas Employment Certificate or OEC online service was brought up, asking the president for the total scrapping of the process siting that such procedure only adds to the burden of OFWs when going home. In order for an OFW to be granted departure from the airport, he/she must present an Overseas Employment Certification (for first time OFW) or present an OEC exemption number ( returning OFW to the same employer) to the immigration officer before he will be allowed to exit the country. Although the new procedure of getting a certificate is done partly online, many OFWs still struggle to log-in and register due to unfamiliarity of modern technology. Thus, they asked the president for a possible removal of the OEC. President Duterte acknowledged the call and said he will ask the labor secretary to look into it. "I will ask Bebot Bello to conduct a study. I'm not too familiar with what is wrong here and what is not," he said. He also added that he will conduct an investigation and crackdown of alleged illegal recruiters who are victimizing many unfortunate Filipinos. With the regard to the issue of some domestic helpers who allegedly forced to sleep in an inhuman sleeping quarters, he said that Hong Kong authorities and legislators will look into it and will fix the problem. President Duterte is set to arrive on Beijing, China to attend the Obor Summit on Saturday. The Obor Summit will be attended by leaders of 28 nations in Beijing to map out China's ambitious new Silk Road project. This is one of the event you should include in your travel itinerary when you visit Baguio - touring the newly built two-story museum at the University of the Philippine campus called MUSEO KOLDIYERA. Since its official launching in February this year, the first ethnographic museum in the north has now been opened for visitors who want to have a glimpse on the rich culture of the Cordillera people through exhibits and displays of their ancient and treasured material culture. The Museo Kordileyera was built not only to showcase the different indigenous culture of Cordillera but " dedicated to the preservation and enrichment" of them. The museum is a good venue for anyone who wants to have an understanding and learn the identity and culture of the Indigenous people of the Cordillera and Northern Luzon. If you want to know and learn the method of tattooing "Batok" done in Ifugao, know what a "hagabi" looks like, come face to face with a "Kadangyan" then head to this museum. The museum is situated inside UP-Baguio campus, just a 5-minute walk from Victory Liner bus station. The museum is open from Tuesday to Sunday at 9:00 AM to 5:00 PM. Admission Fee for adult is only P60 and P30 for student. Benguet State University (BSU) announces Free Tuition Fee 2017 Guidelines and Requirements. Click to read. 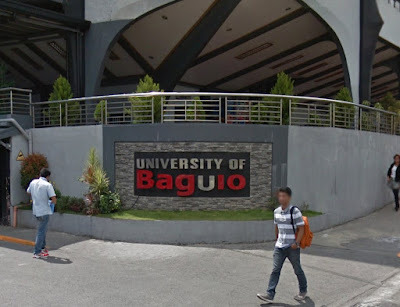 Cordillera - The Benguet State University (BSU) in La Trinidad, Benguet has announced its Free Tuition Fee requirements and guidelines for enrollment this coming school year. Students enrolling in all states universities and colleges (SUCs) in the country are entitled to a free tuition which is mandated by the government under the Senate Bill 1304 or the Free Higher Education for All Act. A total of P7.789 billion was allocated to all SUCs in the country for academic year 2017 - 2018 prioritizing those financially disadvantage students. In an advisory letter posted on BSU's FB page on Thursday, it highlighted the "requirements and pre-registration and enrollment for the said Free Tuition Fee for school year 2017 - 2018. 1. 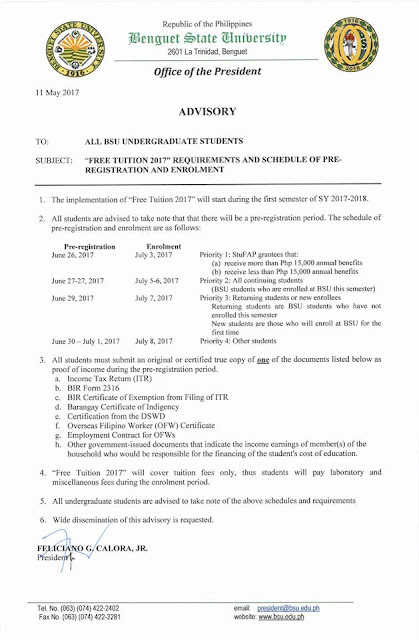 The implementation of "Free Tuition 2017 will start during the first semester of SY 2017-2018. 2. All students are advised to take note that there will be a pre-registration period. The pre-registration and enrollment are as follows. Priority 3: Returning students or new students. Returning students are BSU students who have not enrolled this semester. New Students are those who will enroll at BSU for the first time. 3. All students must submit an original or certified true copy of one of the documents listed below as proof of income during the pre-registration period. h. Other government-issued documents that indicate the income earnings of member(s) of the household who would be responsible for the financing of the student's cost of education. 4. 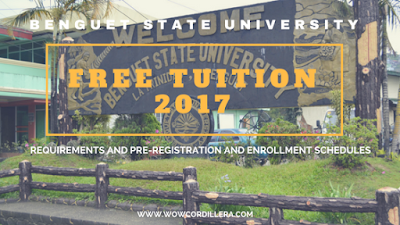 "Free Tuition 2017" will cover tuition fees only, thus students will pay laboratories and miscellaneous fees during enrollment period. 5. All undergraduate students are advised to take note of the above schedules and requirements. 6. Wide dissemination of this advisory is requested. Signed: Feliciano G. Calora. JR.
Cordillera - Farmers from Tinglayan, Tabuk, Kalinga were the recent recipient of the government's incentive through the Department of Agriculture and Fisheries (DAF) headed by Secretary Manny Piñol. On Wednesday, DA Sec. 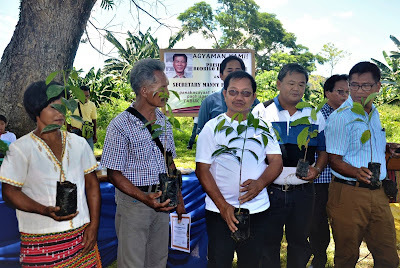 Piñol revealed that a total of 10,000 coffee seedlings was turned over to Tinglayan leaders to be later given to the Kalinga farmers who were formerly marijuana growers. Aside from the coffee seedlings, a P50 million Production Loan Easy Access (PLEA) program for the Agricultural Credit Policy Council (ACPC) will also be given to the farmers. 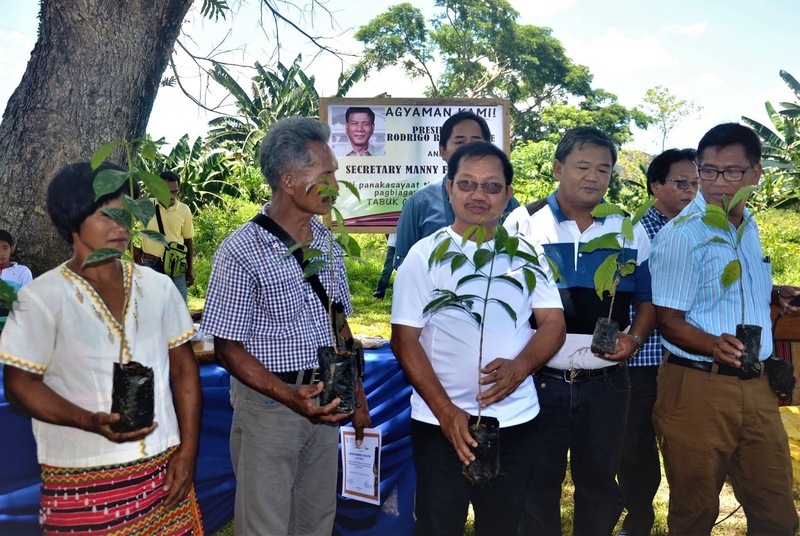 According to Piñol, it was the Kalinga Provincial Governor Jocel Baac who recommended the coffee seedling grant to the farmer to help the government effort in combating the growing of marijuana in the region. However, Piñol also pointed out that it would take the farmers to wait for three years before harvesting coffee beans. The Kalinga farmers have been calling for the government intervention to revive the coffee industry in the province as this is one of the traditional source of income for many families. The decline of coffee production can be attributed to the conversion of coffee lands into corn farms due to the lack of coffee seedlings. This problem is one of the reasons why some farmers have turned into planting marijuana instead which is illegal in the Philippines. In his visit to the town of Tinglayan, Piñol also committed additional livelihood projects such as native pigs raising and free-ranged chicken raising. Piñol also visited the P1 Billion Farm-to-Market Road project (FMR) funded by the World Bank under the Philippine Development Project (PRDP) which is expected to revive the province's declining coffee industry. Joel Batoon Zulueta of the University of Baguio is among the list of topnochers in the exam with a ranked of 92.55. Meanwhile Hisham Adiong Sacar from FEU Institute of Technology ranked the first with a ranked of 94.60% rating followed by Christian Paul Dela Cruz Sanguyo in the second ranked from Mapua Institite of Technology- Manila with a rating of 93.55%. The complete list of of successful civil engineers can be found below. Roll of successful examinees in the Civil Engineer Licensure Examination. Held on May 7 & 8, 2017.